In today’s business environment it is essential for both large and small companies to have an online presence to maximize business opportunities. Our affordable web design services offer a professional solution, at an affordable price and include EVERYTHING you need to get your business online. There are no other hidden extras or monthly maintenance payment charges etc. This affordable web design services includes a custom web design to your specifications of up to 10 pages and we submit your site to the three main search engines as well. We also include free after sales support to cover any tweaks you may require after going live to ensure total client satisfaction. Freelance Web Designer in Hyderabad can design a professional looking website for you, at a reasonable price and with all above features. Freelance Web Designer In Hyderabad is a web design company specialises in WordPress Web Design, Development and Theme Customizations. Whether you are looking for customization on your existing WordPress site or you are looking for a new website to be developed in WordPress, we can help. We have experience in developing corporate websites, online stores, business websites and community websites. All of our WordPress sites are developed with the best SEO practices, keeping them at the top of Google and Bing for high traffic keywords. We know that once your site is up and functional that you will have time to review and rethink some of the content on your new site. Freelance Web Designer Hyderabad offers 30 days FREE content updates to all of our web design clients as a way to show you we are will to go that extra mile to make your website a success. 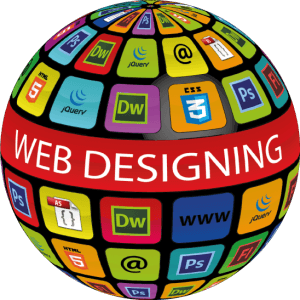 Freelance Web Designer In Hyderabad is always with you! We love to chat, why not drop us a line and tell us about your project.